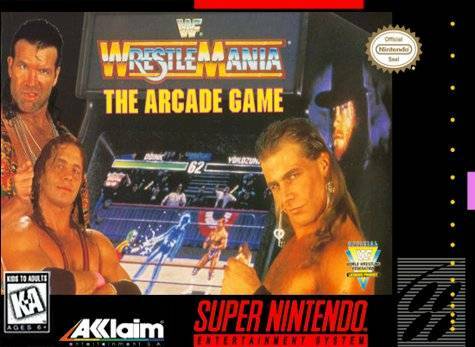 WWF Wrestlemania: The Arcade Game for Super Nintendo allows you to play as eight of the biggest stars in the WWF including Brett "The Hitman" Hart and the Undertaker. Wear down the opposition with standard wrestling moves, and then climb the ropes for some high-flying action. If you are taking a beating, you can quickly turn things around by using one of the character-specific special moves. For 1-2 players.